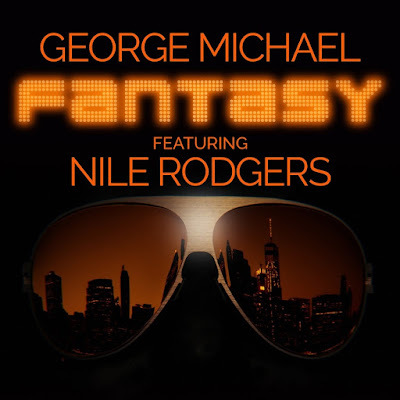 Sony Music proudly presents Fantasy, a single by the late George Michael featuring Nile Rodgers. This gorgeous single premiered today on UK radio and it is a super groovy pop/dance track. Stream it below! First recorded by George in the late 80s, Fantasy was intended to feature on George Michael's second solo album, the multi-platinum, worldwide smash Listen Without Prejudice Vol.1. George had also wanted to release Fantasy as one of the lead singles, but somehow the track got lost in the ether. Finally, Fantasy found its way onto the B-side of the US release of the single Freedom! 90 and on the UK version of the single Waiting For That Day in 1990. But as one of his favourite tracks George always intended for Fantasy to be a single in its own right. George Michael went on to perform Fantasy live during his hugely successful Cover To Cover tour in 1991 and rewarded his loyal fans with the track on free cassettes placed on every seat in the venues he played during the tour. George also later performed Fantasy during his 25 Live Tour over a decade later. In early 2016, George was looking for the perfect single to launch the highly anticipated reissue of Listen Without Prejudice Vol.1/MTV Unplugged and Fantasy was his first and obvious choice. He contacted the hit-maker Nile Rodgers, the only man on the planet who could give Fantasy more funk than it already had. Both George and Nile spoke the same musical language, were on the same page and the rest is history. Receiving its global exclusive first play on UK radio September 7th, the reworked Fantasy by George Michael featuring Nile Rodgers is a killer track. It's easy to see why it was always George's favourite. On October 20th, Sony Music will re-release his groundbreaking second solo album, Listen Without Prejudice Vol 1/MTV Unplugged. Originally released in 1990, Listen Without Prejudice Vol.1, produced, arranged and almost entirely written by George himself, outsold Faith in the UK. The MTV Unplugged performance was recorded in London in 1996 and features career defining songs from Georges Wham! period right though to Older. In celebration of the album's reissue, Sony Music together with Channel 4 and BBC Worldwide have commissioned Freedom, a stunning new film, narrated by George. The documentary features Stevie Wonder, Elton John, Liam Gallagher, Nile Rodgers, the Freedom 90 supermodels (Naomi Campbell, Cindy Crawford, Christy Turlington, Tatjana Patitz and Linda Evangelista), Mary J. Blige, Tony Bennett, Mark Ronson, Tracey Emin, Jean Paul Gaultier, Kate Moss, Ricky Gervais, James Corden and many more. George was working on Freedom right up until Christmas 2016 and it is his final work.